Attention car enthusiasts! 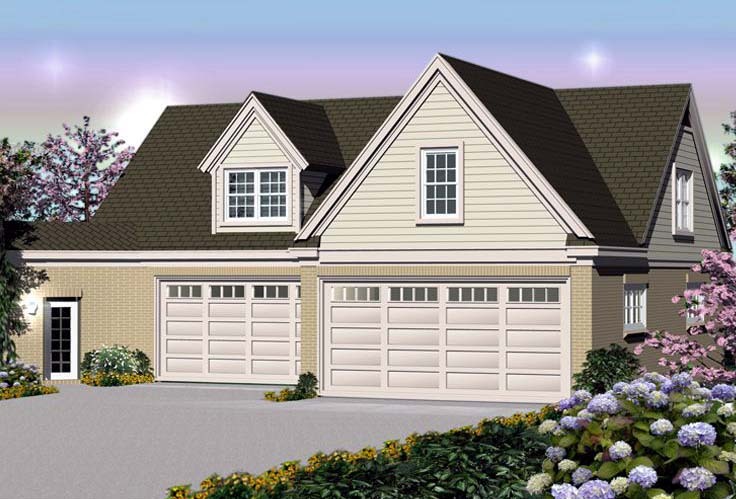 Here’s a 6-car garage plan that does it all. Two overhead doors open to 1473 square feet of unfinished parking on the main level. 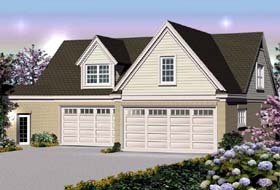 A tandem garage easily holds 4 vehicles. The other portion has extra deep bays that nicely accommodate a boat or oversized vehicle or two more cars. Large windows fill the interior with natural light and 9’ ceilings offer convenience. Don’t miss the full bath (84 square feet, finished) and storage area. Upstairs, you’ll find an apartment revealing 979 square feet of usable space. The living room is open and spacious. Two closets outfit the generously sized bedroom. A full bath polishes off the second floor. 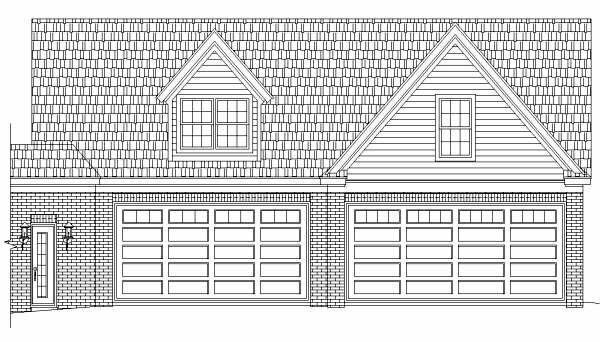 From a tandem garage and a boat storage garage to living quarters, this 6-car garage plan is one-of-a-kind!